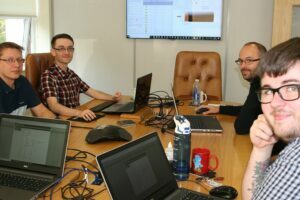 Cimteq has appointed Graduate Technical Consultants, Alun Owens and Greg Janicki to join the rapidly growing team at Cimteq. Robert Douglass, Operations Manager at Cimteq, explains “To support the company’s growth and in line with our strategy of growing talent within the business, we have recently employed two local graduates”. This week, the graduates, alongside our other recent new starter, James Concannon, Technical Account Manager, have started a two week training course on our flagship product, CableBuilder. For more information, or to book a one to one online demonstration on the capabilities of CableBuilder, please complete this form.